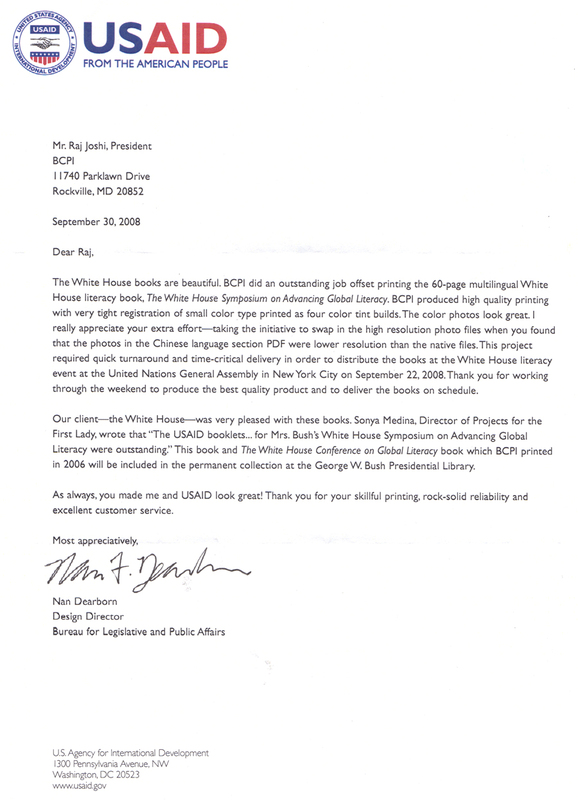 Testimonial letter to BCPI's work for USAID on the occasion of the White House literacy campaign. Read more about USA ID here. See other testimonial letters from satisfied BCPI customers here on our Customer Appreciation page.